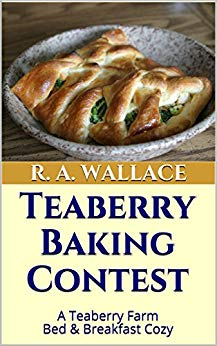 A Teaberry Farm Bed & Breakfast Cozy Book 4When a popular regional Baking Contest takes over the town of Teaberry, Megan has contest judges as guests at the B&B. As temperatures rise, mayhem and murder soon follow. Megan adds a measure of sleuthing. If only Lauren could win a blue ribbon, it would be the icing on the cake. This mild cozy mystery offers a clean read with a female amateur sleuth and friends in a small-town setting.